With the previous post an OOTD on the MMAs that was held yesterday i had another two posts to write that are basically part of the segment. This is how my hair was done up for the do. I had seen it in a photo a couple of days back and thought what a great day to replicate that. It's different from that high bun i have been doing for the past 3 years and it looks professional. It will be something i will start using for work. All you need to do is just tie your hair back into a low ponytail and then make sure your donut is big enough for that big volumized bun. I loved the outcome of it. I am sure you will too! I included some photos my boyfriend took for me. He never really has patience taking photos for me but he gave in yesterday and i am quite happy with the outcome! So i had to include him in the post! 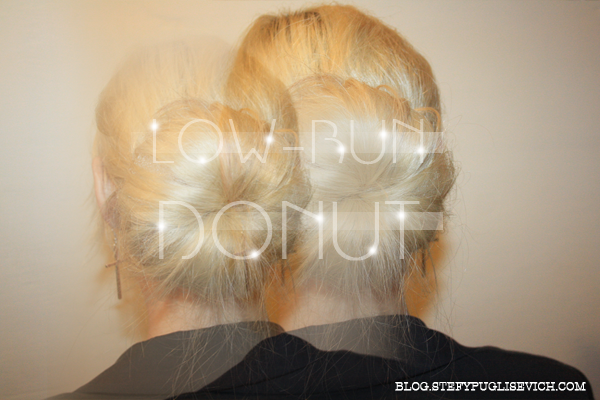 HAVE YOU TRIED THE LOW BUN DONUT?